Winter is coming, which means it’s dark before 5 p.m. and you’re probably starving by the time you get home from work. The good news? There’s a savory deal that will warm your welcome with an even easier way to cook. Now through Oct. 31, Walmart is knocking $21 off the price of its exclusive Instant Pot Gem 6-quart 8-in-1 Multicooker — where it’s on sale for just $58. That’s the same price a similar model was during Amazon Prime Day this year. 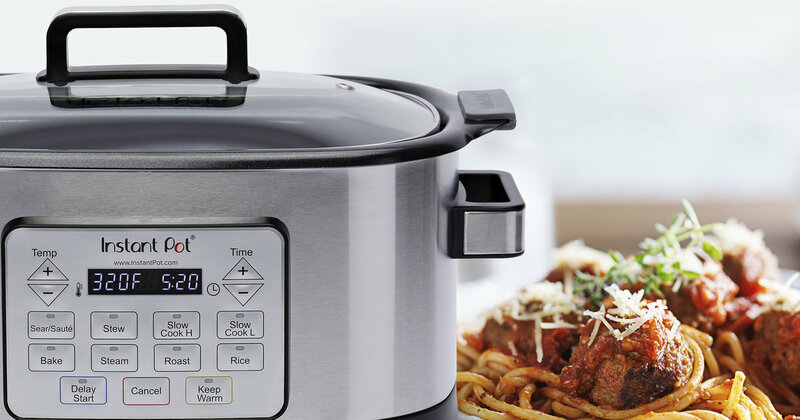 Whether you’re the type of person who plans out Pinterest-worthy meals days in advance or you’re struggling to finally break up with your delivery guy — this Instant Pot deal is for you. With the ability to slow cook, sear, sauté, steam, stew, roast, bake, cook rice and keep your food warm, the Instant Pot Gem does the work of eight different kitchen gadgets. It’s a holiday food prep game changer when you need a gadget for the holidays to cook the biggest meal you’ve ever made. Whoever thought of the idea to be able to whip up some fresh veggies and bake a chocolate cake in the same pot was seriously doing it right. Adjustable settings allow you to time your meal to be ready the second you get home or keep things warm until your guests arrive. The Gem is also dishwasher safe — as if one-pot cooking wasn’t easy enough. If you’re still not convinced, 3.9 out of 5 stars and 22 reviews tell tales of easy eggs and savory dinners. Get a head start on your holiday shopping and save with the gift that keeps on giving… you food. Get the Instant Pot Gem on Walmart for $58 now through Oct. 31.